Every step toward solving the case brings Scottish detective Fin Macleod closer to a dangerous confrontation with the dark events of the past that shaped–and nearly destroyed–his life. 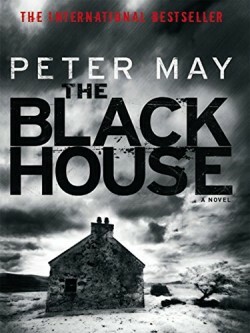 When a grisly murder occurs on the Isle of Lewis that bears similarities to a brutal killing on mainland Scotland, Edinburgh detective and native of the Isle of Lewis Fin Macleod is dispatched to the Outer Hebrides to investigate, embarking at the same time on a voyage into his own troubled past. As Fin reconnects with the people and places of his tortured childhood, the desolate but beautiful island and its ancient customs assert their grip on his psyche.